Insurgency was being purchased on many user accounts and nobody knew why. The answer is: robots…or ‘bots’ for short. I agree. I still can’t believe the folks at Chrono.gg do such amazing work with such a small team. It’s like how one single guy does Game Jolt, which it just a shout-out to him. It appears the system is back to being as slow (or almost as slow) as when it was introduced. I hope this is just a glitch or a test. Hmm, we’ve made no changes on our end. We’ll look into it. After logging in daily for a while now I can only agree that the appearance of the ultra slow ones seems to be quite random and down to bad luck. How fiendish. Every time I log in have to use craptcha, I click coin thing, have to log in & use craptcha again. Go to grab my key, same result. I too, find it immensely irritating, and have in fact stopped using various sites due to their implementation of Captcha - not exactly deliberately, but just as I cant fathom the effort to click through a minimum of three seperate captcha’s each time I wish to log in. In fact, rather ironically, and despite already being logged in - Chrono wished me to fill in another Captcha just so I might like the original comment! Also, wow, I just realised how late to the party I am on this… 2017, whoooops! I so rarely get asked to do the Captcha that often I forget that it’s there. I bought a new tablet recently and logged in through that last night, didn’t see it at all. 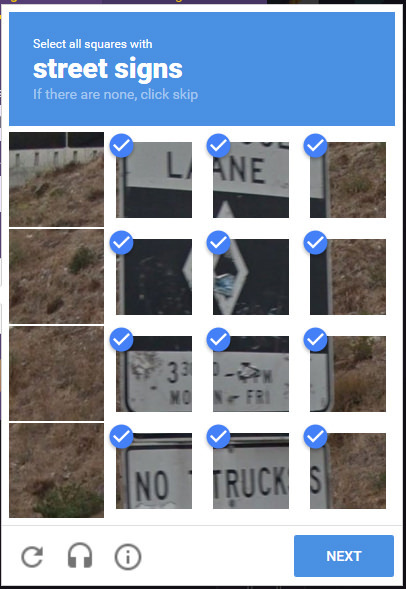 I tried that, tried asking the Devil for a refund, tried listening to soulful Jazz and Blues, but Captcha just acts like none of it happened. I so rarely get asked to do the Captcha that often I forget that it’s there. Use more tracker blocking add-ons and then you’ll notice it all the time. I think DoubleClick is probably getting blocked by my Pi-Hole DNS. Ah, so it’s my tracker blocking that is causing the excessive Captcha demands?